DMC Ville January Guest Activity. We are pleased to invite our residents to “Guest Activity of the Month”. MBC (Broadcasting Corporation) transforms into an outdoor skating rink from January 3rd, 2019, and is a popular winter attraction in Seoul. The facility houses one rink for beginners and one for advanced skaters, and also hosts various events during its operating hours. 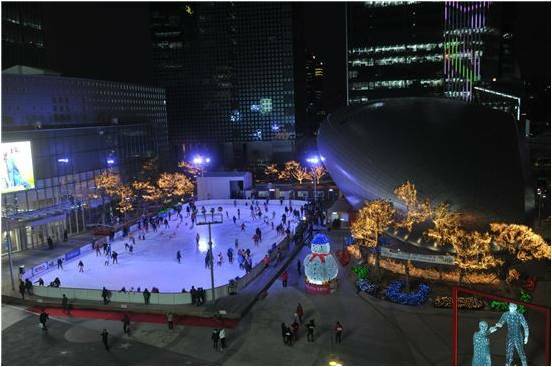 There are also convenience facilities like skate rental, and outdoor break room, outdoor standing area and rest area for ice skaters. Ice skaters must wear gloves and helmets (Gloves can’t be rented from the skating rink).